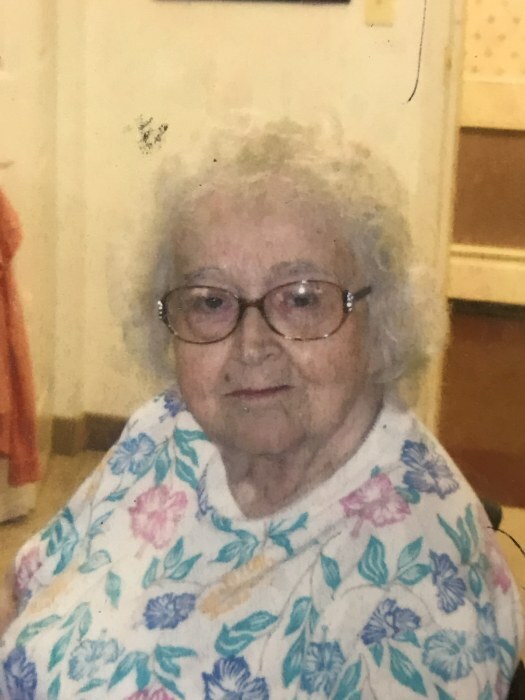 Pearl M. Evans, 91, of Youngstown, Ohio, died Tuesday morning September 11, 2018 at Omni West Assisted Livings in Youngstown. She was born April 2, 1927 in Youngstown, OH, a daughter of John and Pearl (Parker) Evans and was a lifelong area resident. .
Pearl worked as a clerk and in gift wrapping for Strouss-Hirschberg in downtown Youngstown for many years, retiring when the downtown store closed. She was a member of Western Reserve Methodist Church in Canfield. She leaves her nephew, Kevin C. Randolph of Boardman, and many other loving nieces, nephews, and great-nieces and great-nephews, all of whom she loved very much. Besides her parents, she was preceded in death by her sisters, Ruth Randolph, Marge Yost, and June Jones, as well as her three brothers, Byron, Jonathan, and Kenneth Evans. A funeral service will be held at 11:00 a.m. Tuesday September 18, 2018 at the Davis Becker Funeral Home in Boardman with Pastor Russell Adams officiating. Friends may call from 10-10:45 a.m. prior to the services at the funeral home. The family requests material contributions take the form of donations to the church memorial fund at 4580 Canfield Road, Canfield, Ohio 44406, or to Hospice of the Valley at 9803 Sharrott Road, Poland, Ohio 44514.